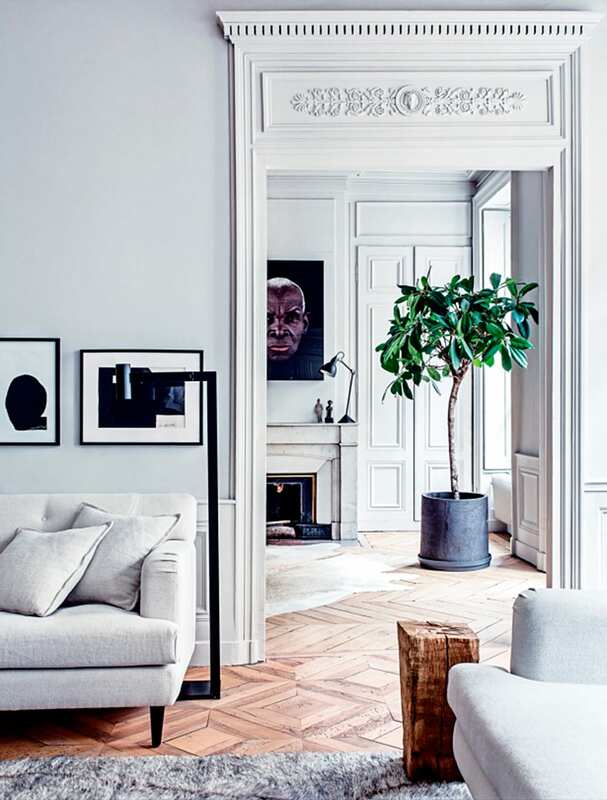 Modernising an apartment in a beautiful old building is a delicate task. 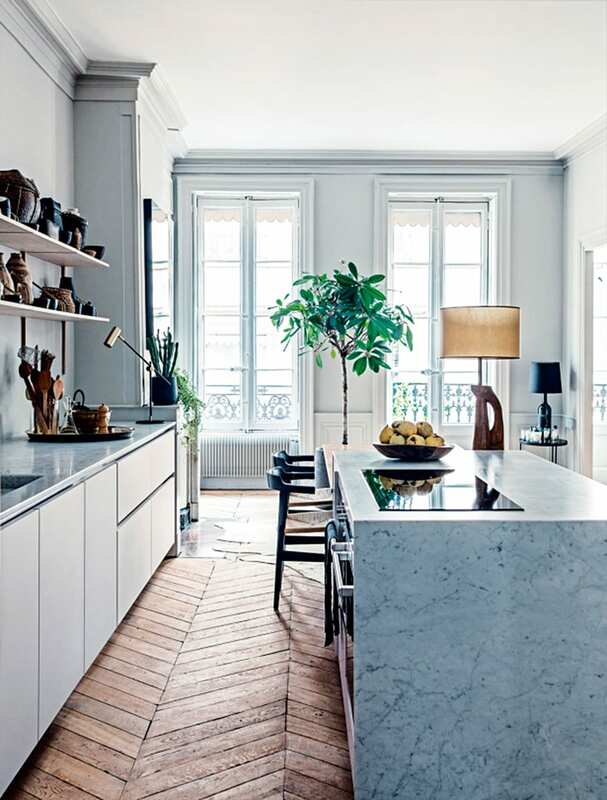 This converted 1850s apartment was put into the hands of Pierre Emmanuel Martin and Stéphane Garotin (aka Maison Hand) and it has been transformed into an elegant space that carefully balances the old with the new. The traditional coving and plaster work details of the door and window surrounds have been kept. 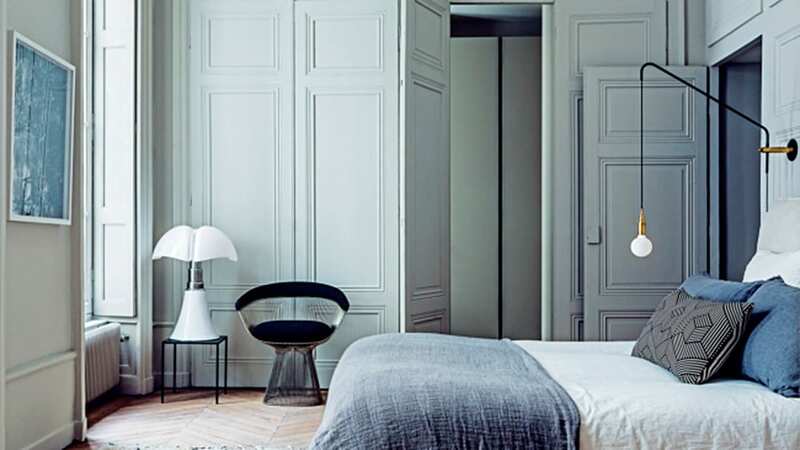 The panelling on the doors and some walls also remains. Traditional radiators throughout contrast with a slick vanity unit in the bathroom and simple kitchen units. 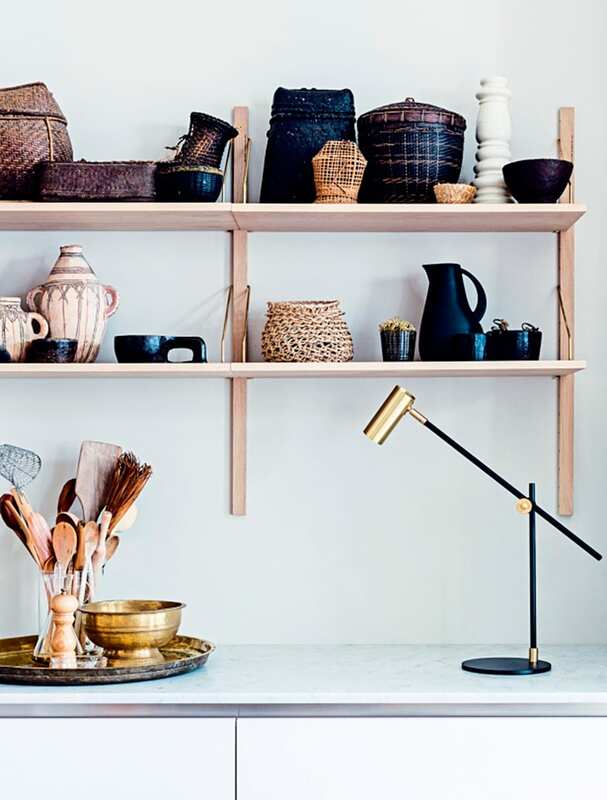 This is very much a Modernists dream home, from the selection of primitive baskets and boards in the kitchen, that wouldn’t have looked out-of-place in Picasso’s studio; to the geometric print textiles and wall print; and follows through to the contemporary lamps and furniture. 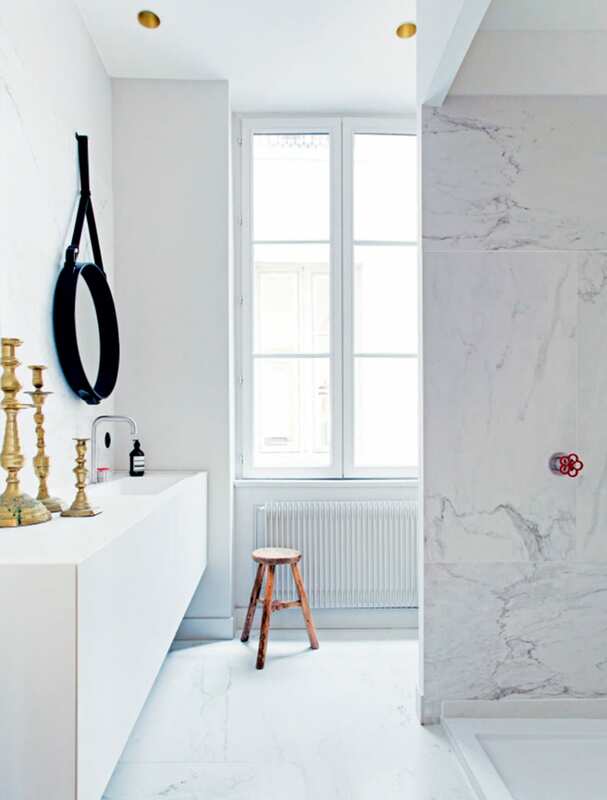 Carrara marble being the timeless material that it is, looks both modern and traditional in the bathroom and kitchen. 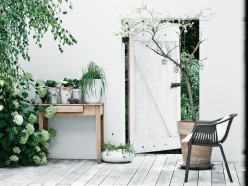 An incredible oatmeal coloured daybed sits in an awkward alcove inviting you to relax and read a few well selected art and design books, carefully displayed on an old wooden bench. 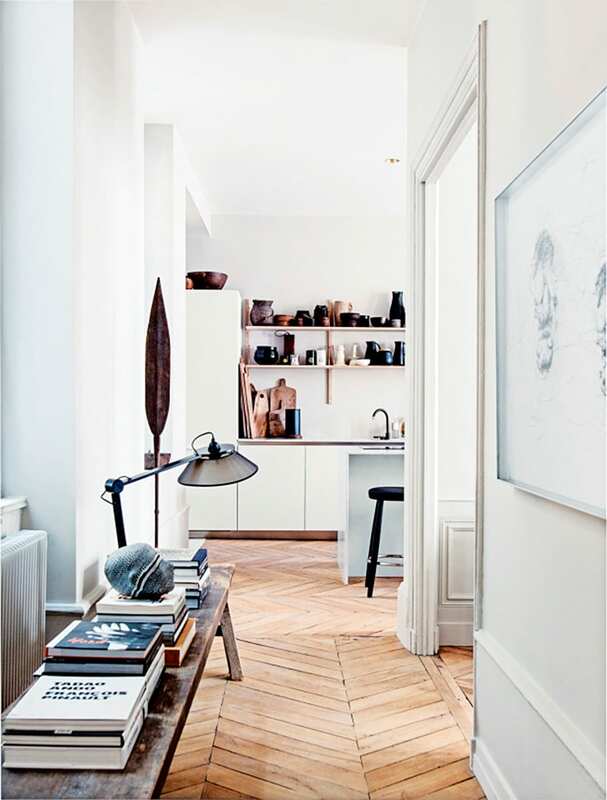 Immaculately restored parquet floors draw you through from one room to the next. 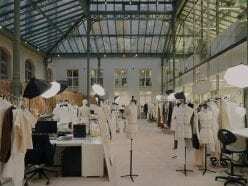 A neutral palette forms a good backdrop for the many collections throughout.